Clean lines and minimal color are in the spotlight with the Minimalist Laptop Case. Perfect for men and women (or a couple), you can add your monogram in any three-letter combination you can imagine in a rich emerald green! Case measures approximately 14.2" x 10.8" so it fits many varieties of laptop. Clean lines and minimal color are in the spotlight with the Minimalist Laptop Case. 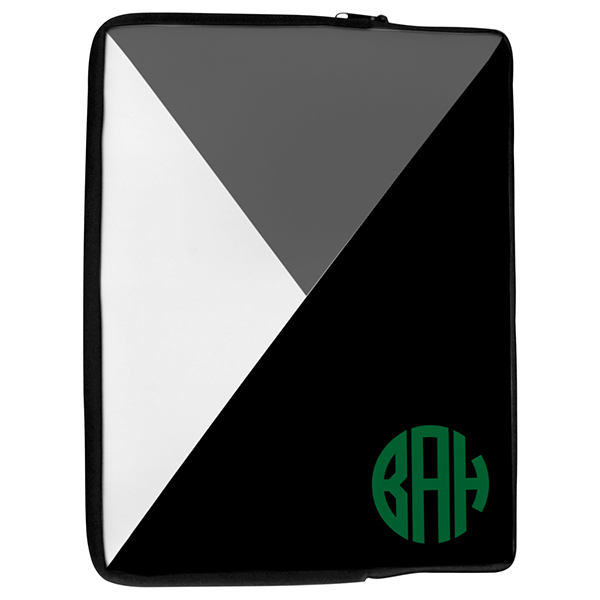 Perfect for men and women or even a married couple, you can add your monogram in any three-letter combination you can imagine in a rich emerald green! Our case measures approximately 14.2" x 10.8" so it fit tons of laptop brands and models. Cases are made in the USA.